Christopher Tanimola Ezekiel aka VDJ CHRISLAND who hails from Delta State Nigeria. Vdj Chrisland has been in the entertainment industry for over 18 to 19 years and has worked with many A-list Artistes like 9ice, W4, M.I, JJC, Slimcase, Patoranking, Sean Tizzle & many more, Vdj chrisland has received numerous awards in recognition of his effort in the entertainment industry. 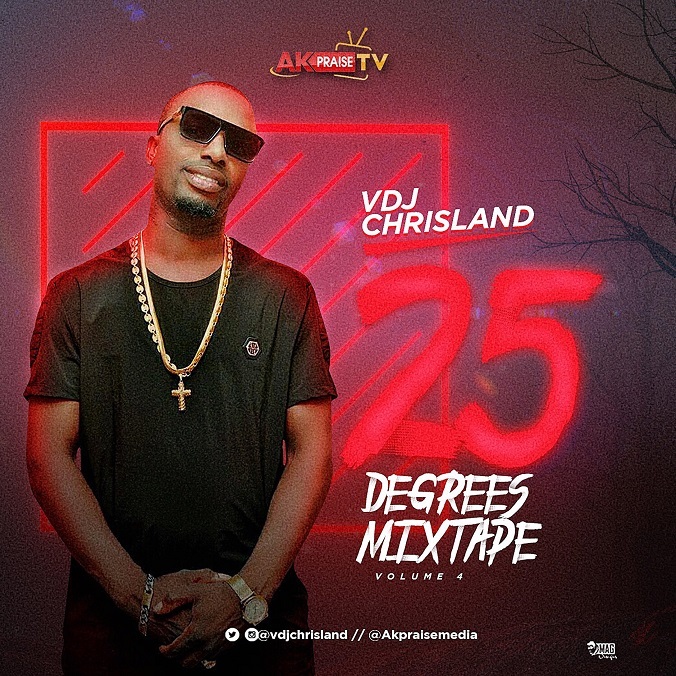 Here he teams up with Akpraisemedia for #25DegreesMixtape volume 4.